Who was Josef Stalin? An evil dictator who murdered millions? Or a geo-political giant who dominated the Soviet Union and the world stage? Stephen Kotkin leans toward the latter interpretation in Stalin: paradoxes of power, 1878-1928. Stalin stood up to the great powers and put his own position at risk. He was different to the usual ‘dictators’ who “pursued private gain, appointed relatives and cronies, gathered harems, delivered populist speeches in public about defending the interests of the people, then sold out their countries for the enrichment of themselves and their entourages.” Stalin was a man of iron will who lived and acted in accordance with Marxist and Leninist principles. Stalin’s abilities and resolve were “an order of magnitude greater” than those of Trotsky who Kotkin depicts as a weak and cowardly figure. He says that, without Stalin, collectivization would not have happened “and the likelihood that the Soviet regime would have been transformed into something else or fallen apart would have been high”. 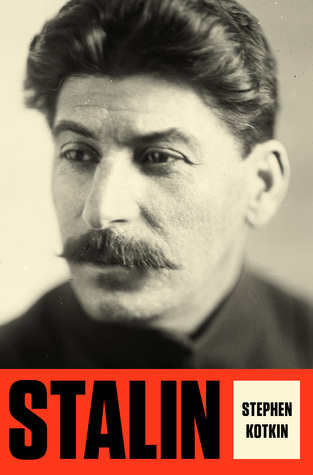 Note: Stalin is not currently found in the Thunder Bay Public Library catalogue but may be ordered on interlibrary loan.